Since 1935, decades of experience and hard work speak volumes. 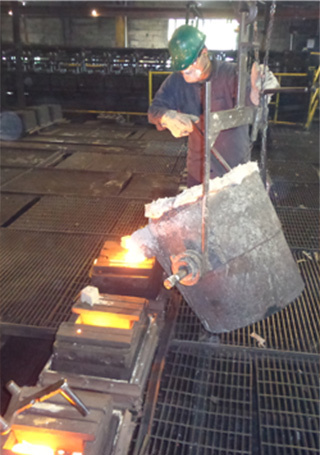 Hallman is a production foundry facility that casts high quality iron castings to serve the rail and industrial markets. Hallman Foundry is centrally located on the East Coast in Sanford, NC and operated by a highly skilled workforce and qualified technical staff. 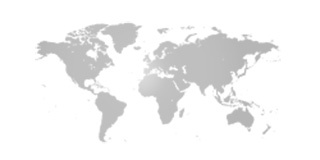 This central location allows for easy shipping access to any location. The integration of our major operating companies and the dedication of our people continue to strengthen our business relationships which define our continuous efforts to increase efficiencies, technology, and solutions with you in mind. Our customer focused operations continues to serve you as our goal is to remain your foundry partner to help you stay ahead of your competition. 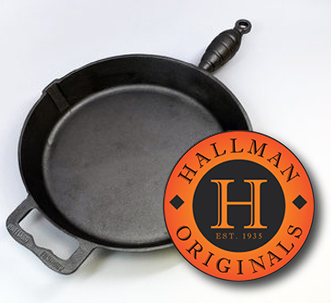 At Hallman Foundry, we continue to strive to improve our product quality, processes, and ultimately, our customer satisfaction. The thread of this philosophy runs through our company where we strive to engineer and manufacture quality and performance into every product throughout all of our divisions.